It is essential to worm your equine, as certain infectious parasites can lead to critical health conditions in them. Worms in horses can be treated with special treatments called as horse wormers. 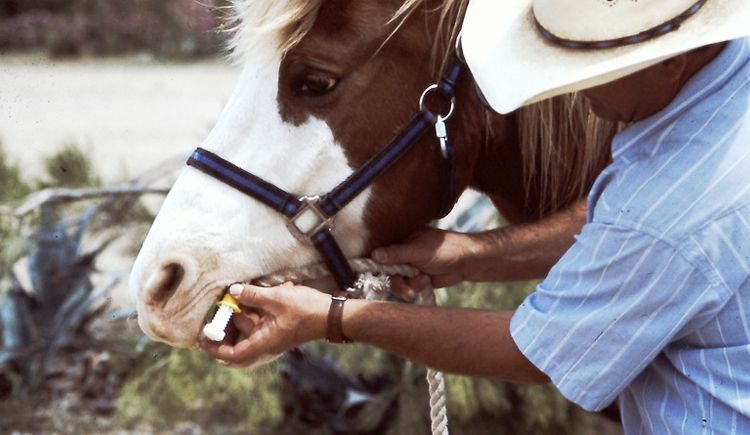 But remember, de-worming your horse is not an easy task. It is not a one-off task that needs to be done once and then forgotten. Worm treatments need to be administered within the correct intervals, as a part of the worm schedule. In order to devise the best de-worming treatment for your equine, you need to consult with your veterinarian, who would assist you in devising a worm treatment schedule for your horse. Please note that you need to have a time gap between treatments throughout the year, so that your equine can be protected from worm infections. The very first thing that you need to do is to select your schedule to de-worm your equine. Veterinarians in our country recommend horses be de-wormed every six to eight weeks, but nowadays there is a new paradigm shift, wherein responsible worming is suggested to fight wormer resistance. This is when the worms become immune to the effects of the treatment and are no longer killed by it. It is therefore recommended that you discuss it with your veterinarian about the environment of the horse, and tell them whether your horse is in contact with other equines and his general health. Once you say these things, it would assist your veterinarian to come up with an appropriate schedule that you can adhere to. You can determine the worm egg counts in your equine through post or by your local veterinarian by collecting a dung sample. This procedure aids in determining whether your horse has low or high burden of worm eggs. A low burden usually means that you can skip a dose of wormer. Please remember that the worm egg counts can only determine the number of worms in the horse, but you cannot replace this procedure with horse de-worming treatment. If you do not want any resistance from the worms, it is important to manage your property by getting rid of horse droppings from the field on a regular basis. You should also keep the feeding bins up off the ground, and practice mixed grazing with sheep or cattle. If you want to organize a de-worming schedule for your equine, the best way is to pin a calendar to your stables. This would help you to remember the dates of worming your horse. Mark the date, before each horse wormer treatment or worm egg count, such that you have enough time to prepare for it. The final tip is to purchase a supply of Horse Wormer Treatment for your equine, well in advance. This would make you prepare well before time so that you do not miss out on this critical treatment. By following these effective tips, you will be able to envisage an effective horse wormer schedule which will aid in keeping your equine healthy and strong. It will also keep him parasite free. So, when are you planning to start de-worming treatment for your horse?